One of the big questions we get when talking to customers is how the QSEHRA stacks up to other traditional options of offering health benefits like group plans, health stipends or pay increases. It's a fair question. The key difference rests in the tax savings that accompany the QSEHRA. 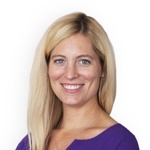 In fact, implementing a QSEHRA puts company reimbursements on nearly the same tax playing field as traditional small group plans, but without all the hassles and requirements. 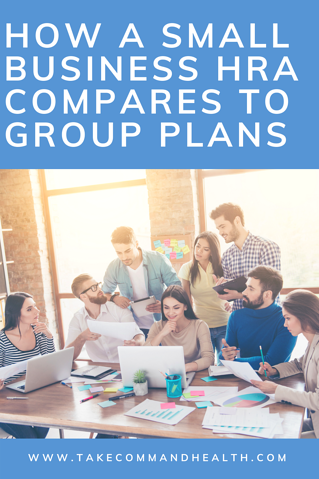 In the past, a big advantage of group plans was that they were deductible expenses for employers and were taken out of employee paychecks on a pre-tax basis. More and more, these big group plans are simply unaffordable and cumbersome for small business owners to offer. Another disadvantage of group plans is forcing everyone to choose the same type of plan, when people by nature have different needs and preferences. Fast forward to the implementation of the 21st Century Cures Act, a new tool allows small businesses to enjoy the same tax benefits as big corporations, with more customizable and flexible options for employees to choose what's best for them. With QSEHRA, employers can make reimbursements without having to pay payroll taxes and employees don’t have to recognize income tax. In addition, reimbursements made by the company count as a tax deduction. Pretty awesome, right? There's one exception to note, however. The only reason QSEHRA is not on the exact same level as group plans is if an employee wants to “buy up” to higher coverage. For example, if a small business owner offers employees $400/mo through a QSEHRA but an employee wants to buy the $600/mo health plan, the remaining $200/mo comes from the employee using his or her after-tax dollars, whereas on some group plans employees could buy up with pre-tax dollars. Health stipends aren’t subject to compliance issues that group plans have, and they can be really easy to administrate through payroll. But they aren’t tax advantaged like a QSEHRA. Not only are small businesses required to pay payroll tax on the reimbursements, employees must claim the stipend as income and there isn’t exactly any accountability for whether or not the money is even used for health insurance. For companies that help employees with health insurance by offering a “health stipend” or by “adding to employee salaries”, QSEHRA will typically have a huge tax advantage. Small business owner Ron runs a 10 person company offering $300 a month in salary increases, totally $3,000 per month for his team for a health stipend, which is subject to several types of taxes. In a one month period, a 25% employee income tax will run around $750, a 15% employer payroll tax runs about $450, totaling $1,150 in taxes. Small business owner Hermione offers reimbursement through a QSEHRA and avoids employee income tax and employer payroll tax, saving a whopping total of $1,150 per month more than Ron (roughly a 30% savings). With a QSEHRA, employees get to use the full value for their health insurance and medical expenses. What's more, in contrast to a health stipend that really comes with no accountability, a QSEHRA allows small businesses to keep the unused funds at the end of the year and it's only paid out when employees submit a claim for reimbursement. Take Command Health makes setting up a small business HRA for your business easy. Our team will help you set your budget, take care of the admin paperwork, and help your employees pick a plan that suits their needs. No need to worry about finding the perfect plan that has the right doctor network or prescription coverage, ultimately leaving someone left out and disgruntled. With the HRA, each employee picks the perfect plan for them that fits within your budget. Sounds like a win-win to us! Hungry for more? Check out our reimbursement rules chapter in our handy new QSEHRA Guide!